Usually in stock for fast Delivery. Please call or e-mail to confirm availability if batteries urgently required. 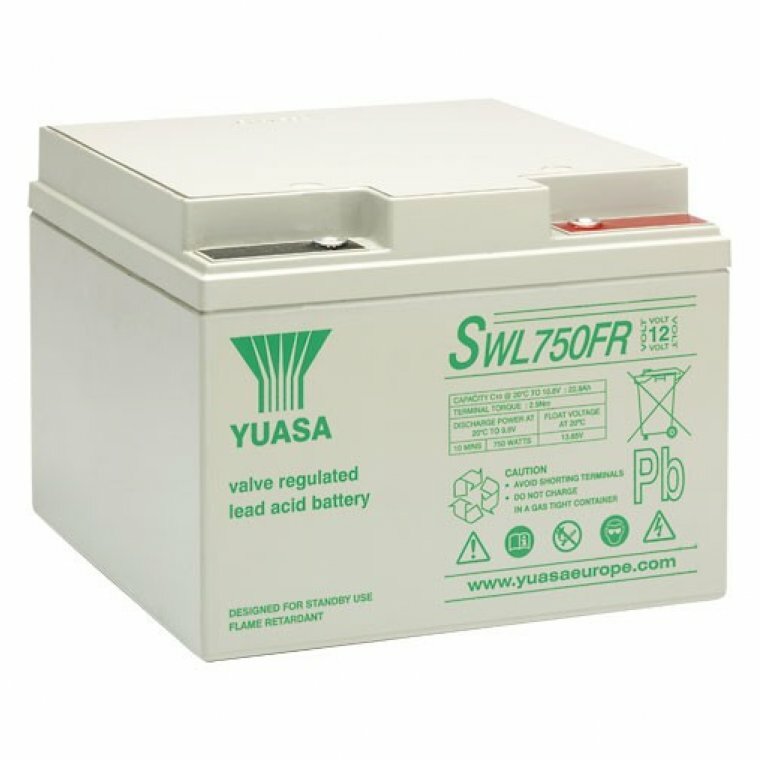 Yuasa SWL750FR VRLA batteries can be used in any orientation excluding continuous use inverted. FR option case material is flame retardant to UL94:VØ (oxygen index 30). SWL batteries are manufactured in factories that comply with ISO9001:2000. FR option SWL’s comply with BS6290 Part 4 (1997). SWL batteries comply with IEC 60896-21+22. Please contact us at info@powercare.co.uk or use our contact form if we can help in any way. If for whatever reason you change your mind and would like to return your order after delivery, we’re happy to refund or exchange your purchase as long as it’s unopened and in its original packaging. Manufaturers of Batteries and UPS systems will charge a re-stocking fee which we have no option but to pass on to our customer. This may be between 10 and 15% of the item price. The returns option is available for 21 days after delivery. Please read our full returns and refunds policy.